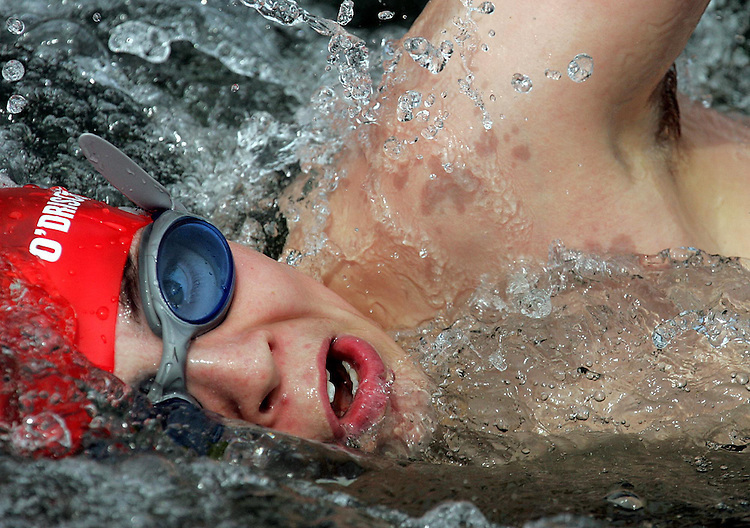 Winning Stroke.....Darragh O'Driscoll, from the Dublin Swimming Club pictured here in action as he wins the Dublin Docklands Liffey Challenge Swim held over the weekend. Pic. Robbie Reynolds.